Kabul: India is considering whether to pay for repairs to grounded helicopters and transport planes from Afghanistan's air force, signalling a willingness to step up military assistance for Kabul that has irked Pakistan in the past. 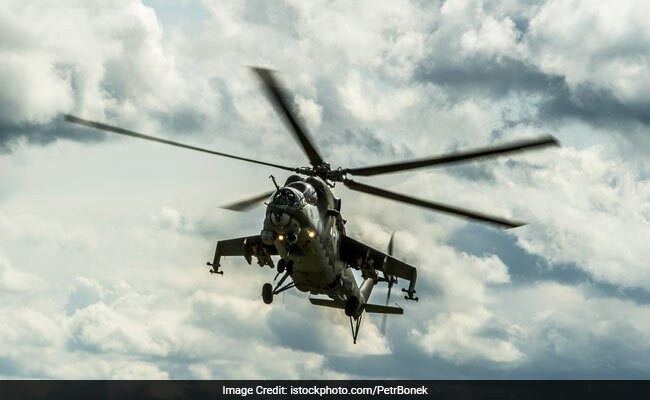 India estimates it would cost close to $50 million for new parts and repairs to 11 grounded Soviet-made Mi-35 helicopters and seven transport aircraft, after sending a team of experts to assess the Afghan air force's needs last year, the Indian ambassador to Kabul told news agency Reuters. Afghanistan has repeatedly asked India to increase military assistance, as it struggles to fight Afghan Taliban insurgents who have taken swathes of territory since most foreign troops left the country in late 2014. New Delhi's readiness to provide more military help, while limited, underlines its desire to help Kabul as other regional powers including Russia and China look to increase their influence in Afghanistan. "We have been looking at the scale of the challenge the ANSF (Afghan National Security Forces) faces, particularly in one segment, close air support," ambassador Manpreet Vohra said in an interview in Kabul this week. "We are trying to see how we can help. They have a large number of attack helicopters and transport aircraft grounded for want of spares, for expiry of certification," he said. India will decide whether to approve the proposal after final costing is done within a few months. Most of Afghanistan's small air force dates from the Soviet era, but sanctions against Russia mean Western donors that fund the military cannot pay to get grounded aircraft flying again. India is not bound by such restrictions, but aside from the transfer in 2015 to Afghanistan of four attack helicopters, New Delhi has been reluctant to commit direct military support, saying it does not have the resources and prefers to help Kabul with development aid. Under the agreement with Afghanistan, India would pay for the transportation of the aircraft to Russia or other former Soviet states where the planes were manufactured and must be fixed according to licencing agreements, as well as for new parts and repairs, Mr Vohra said. The ambassador is due to meet the Afghan air chief in the next few weeks. Pakistan has previously warned that India should not be allowed to use Afghan soil to create instability in Pakistan. India has been one of Afghanistan's biggest allies in the war against the Taliban, training thousands of security personnel, but was not included in the first round of recent Russia-led talks to reboot a stalled peace process. Afghan and US officials are increasingly worried that any deepening of ties between Russia and the Taliban could complicate the security situation, and analysts say India risks being sidelined in future talks.